After identifying core problematic issues related to their projects, participants were asked to synthesize the challenges into a statement and find a solution to them. Pitches were made by ten teams on the last day by incorporating selected technologies like a mobile app or a web based app, into their projects to make them able to promote peace. The ideas were generated after being exposed to a diverse range of technologies through the experts present at the event itself. 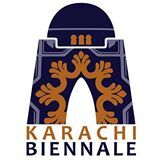 The Karachi Biennale Team launched its initiative of peace building by bringing art into public space through involvement from the artist community. The idea involved the use of 100 original Pakistan Cables reels from the urban environment worked on by artists and involved with communities all over Karachi. A large scale city wide project titled Reel on Hai is to be created. An open call has gone out on this website www.karachibiennale.org.pk A web platform that maps the reels, narrates community stories, archives data and encourages civic engagement in one space was needed to create a birds eye view of the project. The webplatform would use open source content management systems like story maps, google maps, storifi etc. in a fun manner to make the project far reaching. The Karachi Biennale Team comprising of Atteqa Malik, Ruqayya Rizwan, Nasheed Imran and Bina Ali won one of the three prizes that supported peace building in Karachi. The prizes were awarded after a rigorous pitching session from all teams in front of a panel of 5 judges. The other two winners were Peache Niche, who pitched the creation of an app that connects many players of civic related activities to each other remotely and MentHub that was aiming to create an online space connecting youths to mentors within the city. Speakers at this event included activist Jibran M Nasir, musician Ali Gul Pir and comedian Faiza Saleem. Technologist Jehan Ara from PASHA gave the closing remarks. 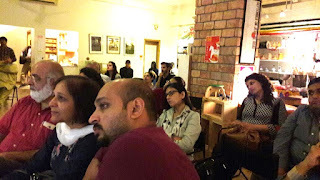 There seemed to be a consensus amongst most speakers that there are very restricted spaces in the city where people can really speak their minds. Such spaces are now becoming available online. The pros and cons of having such spaces available were shared with participants of the workshop thus giving them a very holistic experience to go home with after the three days of peace tech exchange PTXKarachi. PTX Karachi was launched on the premise of identifying significant challenges of peace building in Pakistan. Can technology help drive positive change in conflict areas? Can encouraging debate between people from diverse backgrounds help achieve peace? Sehar Tariq, country representative of USIP for Pakistan was of the view that Pakistan has faced an increase in violence in recent years. On the other hand, she mentioned that people are afraid to express conflicting or opposing views as spaces for free expression are declining steadily here. The workshop brought together groups of people who are working in civic engagement activities with technology experts. Throughout the three days of the workshop both types of groups were able to interact with each other due to the way the workshop had been designed. Participants jumped from visualizing “violence” and “peace” using art materials to technology centered discussions and meeting guest speakers. Each day ended with participants writing out their goals and plans in a very structured way on large templates provided to them. Karachi Biennale is proud to announce its participation in the New North and South collaboration with Dhaka Art Summit, Kochi Biennale, Lahore Biennale, Liverpool Biennale, Columbo Biennale, Manchester Art Gallery, Tetley in Leeds, The Whitworth, Manchester Art Museum, Thank you British Council for your support, Jim Hollington, Abdullah Qureshi, Sumbul Khan!!! When an artwork lives on a pavement or intersection, should it merge or provoke? Who should it speak to? The woman on the street who never ordered it? 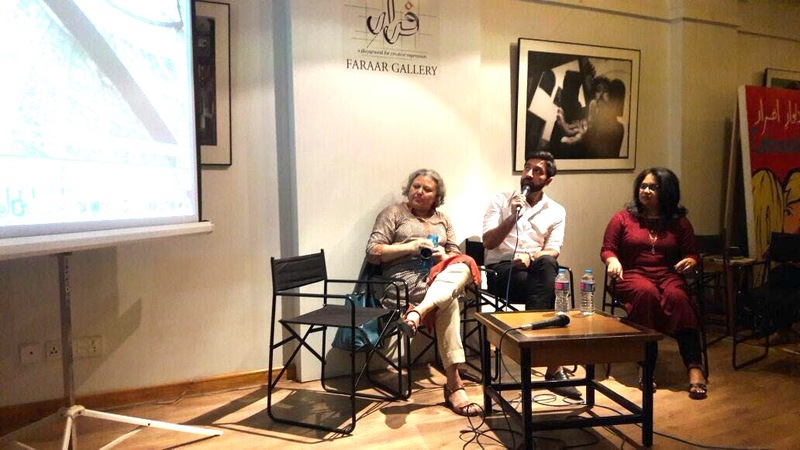 At the T2F on Saturday, speaker Niilofur Farrukh, and panelists Gulraiz Khan and Masuma Halai Khwaja analyzed “Public Art in the Global Context” and unveiled an exciting prospect for Karachi’s art community. Farrukh showed examples of the power of Public Art around the world. Children in one of Venezuela’s strife ridden neighborhoods were given a creative sanctuary thanks to community Public Art. In Caracas, artists, designers and architects created a whimsical space with books, creativity and learning. Pakistan’s public space is contested real estate—with the state, extremists and civil society clamoring for a piece. Monuments “informed by state ideology, martial imagery and aggressive religious symbolism” are served to a public that didn’t ask for them. There were exceptions, Sadequain’s state sponsored murals made him an artist for the everyman. Lecturer at Habib University, Gulraiz Khan, discussed some of the disturbances Public Art can create, and how its architects need to pre-empt the ruckus. Beginning with Richard Serra’s notorious “Tilted Arc” in the 80’s—its 120 foot long, government funded, steel body halving the Federal Plaza grounds of New York City—public art has tricky waters. The sculpture was dismantled following a bitter debate and trial, raising questions on government funding’s role, an artists’ right to his work, and the role of the public in determining the value of a work of art1. The case opened the debate on some of the challenges a designer faces when their work comes in contact with a bystander—a different entity to a gallery visitor. Khan also discussed the importance of designers chatting with the community that will interact with their pieces. Masuma Halai Khwaja presented how Pakistan views its art—figures are frowned upon, but army friezes work. Pockets of Karachi find varying relevance in wall art—only certain images are defaced. She also revealed Karachi Biennale’s public art project: the ubiquitous cable reel will form the subject for The 100 art objects in the city project. She announced an open call to convert the reel, that spreads its arteries around Karachi, into a vibrant, interactive piece of art by visual artists, designers and architects. Celebrating the ethos of sustainability and eco-friendliness, and the 1960s Italian art movement Art Provera, the Karachi Biennial will recycle waste, and elevate the everyday. The works will be placed around the city, based on their relevance to that community. The conversation heated when the Biennial’s mandate was to not engage in political or religious controversies, raising the question, should artists censor themselves? In a landscape of communal and sectarian violence, and the Shanakht festival dispute, the audience was divided whether artists should tread with caution or fight fire with fire. This closed workshop with be conducted by Antji Weitzel, curator of 2015 Festival of Berlin Maxim Gorky Theatre, Project Manager of the Berlin Biennale for the organizers of the Karachi Biennale. Ms Weitzel will share her expertise in the field of organizing international art exhibitions and festivals. The focus will be on planning, management and execution strategies for large scale art events.